We’ve all seen cork projects scattered over Pinterest, and this one is no exception. 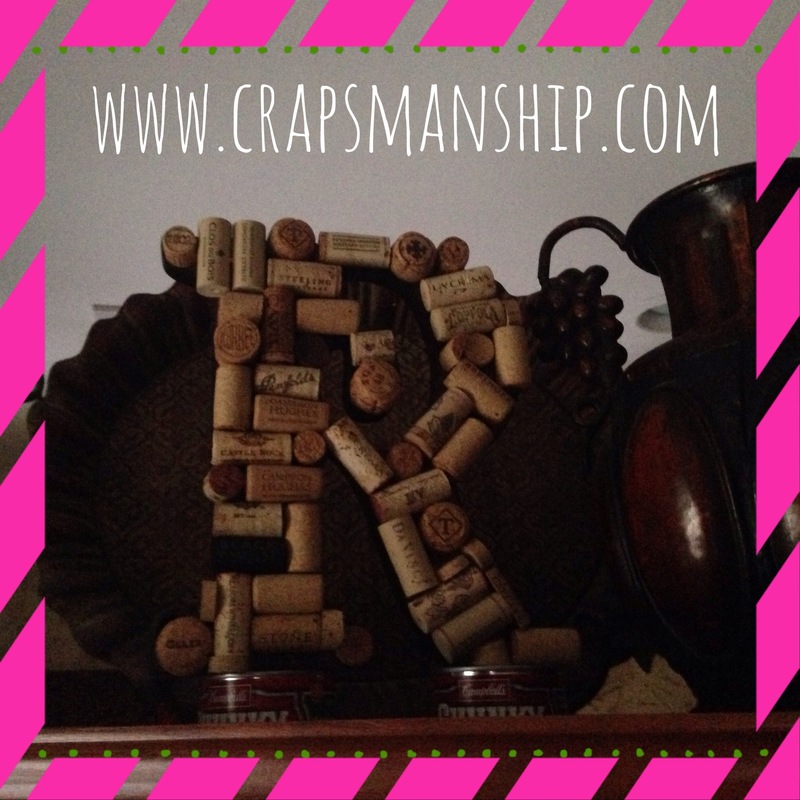 My post, however, will help you avoid the crapsmanship that I used for my first monogram — an R that sits above my refrigerator. (I know, the photo’s too dark. I’ve got to learn how to take better pix!) CRAP ALERT: I made two easily avoidable errors. First I used one black cork. It just looks like a blank space, right? Don’t use a black cork; you’ll be sorry!